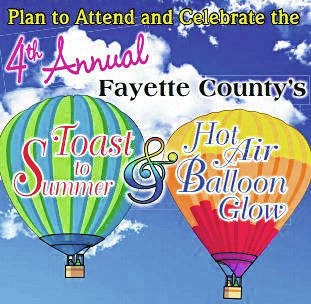 The Fayette County Toast to Summer & Hot Air Balloon Glow makes its return this weekend and the Record-Herald has all of the information the community will need to know about this event in an upcoming special section. The fourth-annual event will be held Saturday, June 23 from 1 to 10 p.m at the Fayette County Airport, 2770 State Route 38. To commemorate this event, the Record-Herald will be releasing a special section full of information this Wednesday. Inside the section is a list and description of Ohio wineries that will participate in the event, short features on the musical talent that will entertain the crowd, a list of around 40 vendors that will provide a host of crafts and other goods for sale to the public, and photos from past Toast to Summer events. Stay with the Record-Herald to see full coverage of the event.